I am a huge fan of The Body Shop Products . 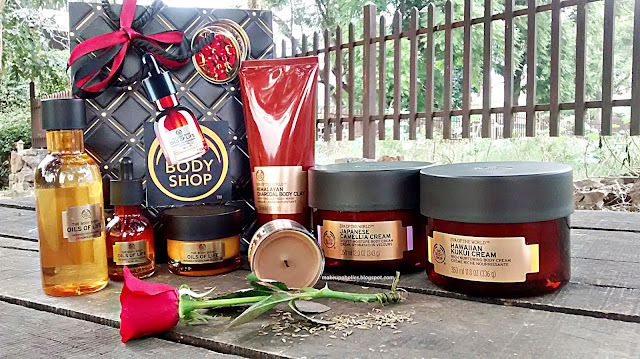 I have recently celebrated The Body Shop as " The Best Brand " on all my social media links and posted detailed reviews of all the TBS products I own . 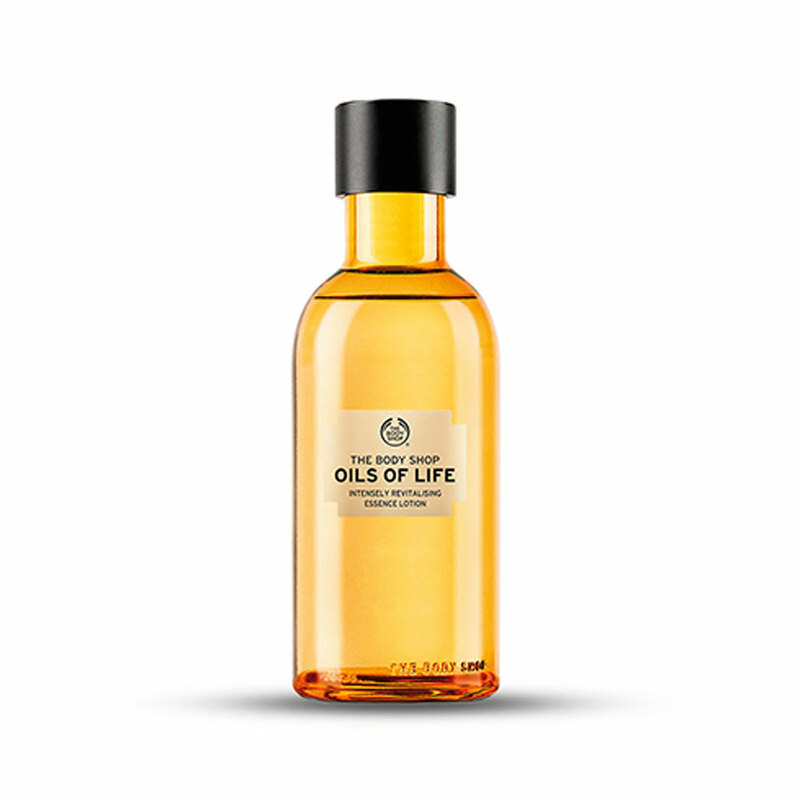 Oil of Life™and Spa of the World™ are Two new ranges launched by TBS and have posted my haul post . Today I am posting my #firstimpression review of The Body Shop " Oil Of Life " Intensely Revitalizing Water Essence Lotion . Give new life to your skin with our new collection infused with black cumin seed oil, rosehip seed oil and camellia seed oil, known for their supreme revitalising and repairing properties on skin. This daily routine has been created to intensely revitalise skin, revive radiance and leave your skin feeling nourished. 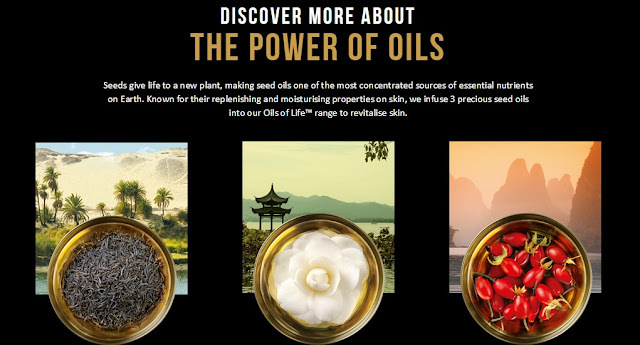 Infused with 3 precious seed oils from around the world to prepare and activate skin. 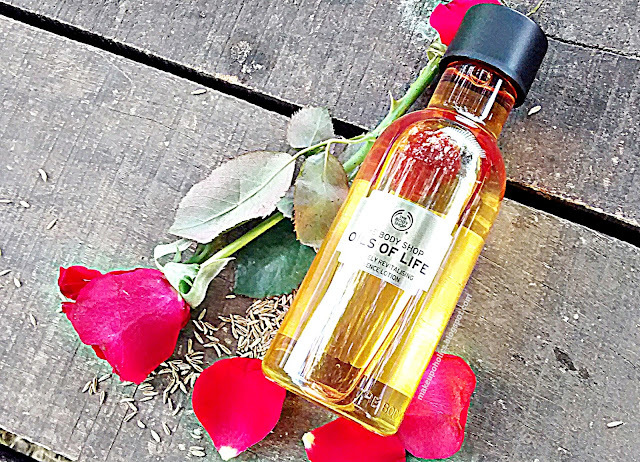 THE BODY SHOP OILS OF LIFE™ INTENSELY REVITALISING ESSENCE LOTION is my most favorite one among the range till now. For a splash of freshness and morning burst , its perfect ! The first impression after using THE BODY SHOP OILS OF LIFE™ INTENSELY REVITALISING ESSENCE LOTION was that it gives a sudden splash of freshness and that your face suddenly feels awake after its use. 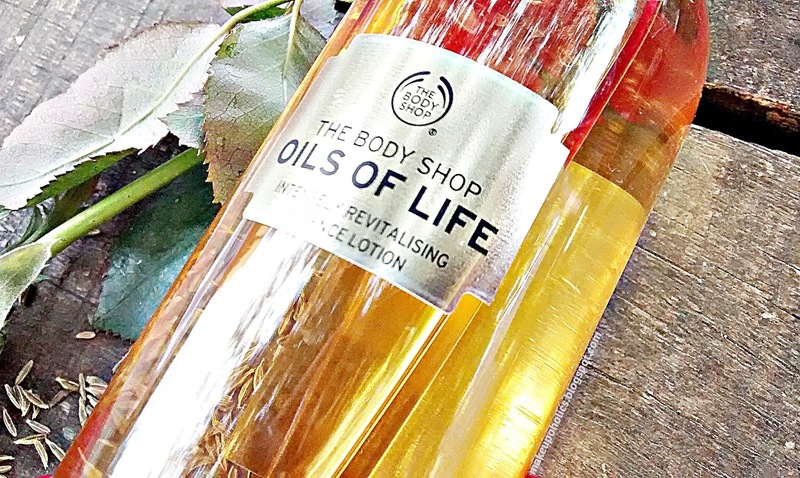 THE BODY SHOP OILS OF LIFE™ INTENSELY REVITALISING ESSENCE LOTION comes in a beautiful golden glass bottle with a black cap. I love the color of the bottle. 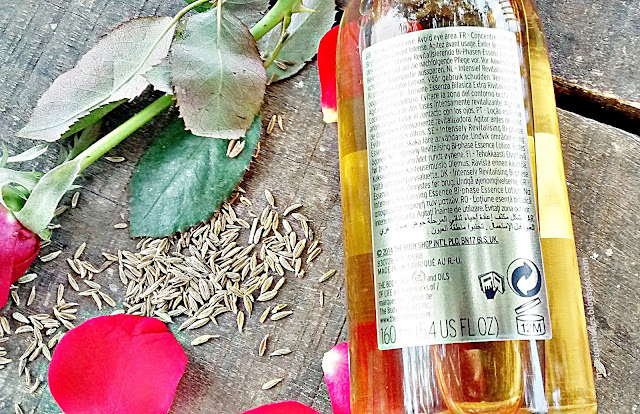 The lotion itself is transparent in color having a very fresh citrusy fragrance that is really refreshing . 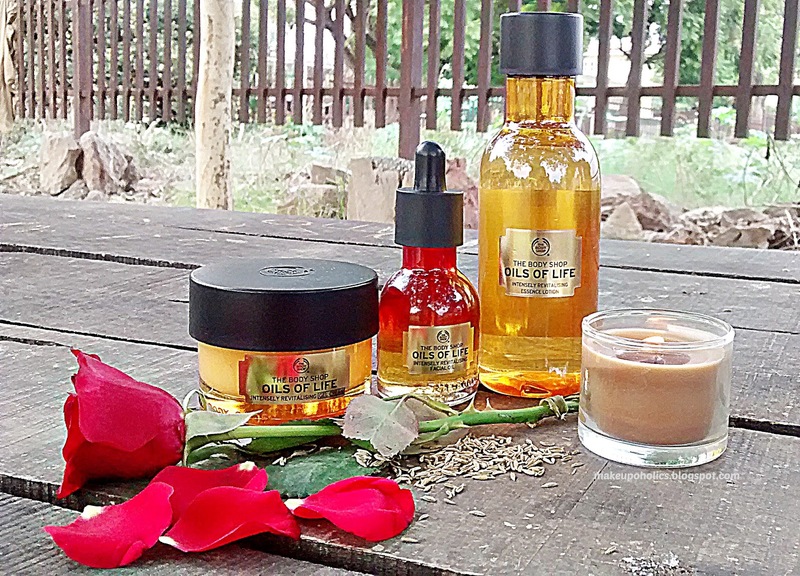 The fragrance stays on your skin for about a minute. Having a combination to oily skin I use THE BODY SHOP OILS OF LIFE™ INTENSELY REVITALISING ESSENCE LOTION in my daily morning and night time skin care routine . I take two drops of the lotion on my palms and gently pat my face with my hands. The lotion absorbs into skin in no time leaving the skin completely moisturized and fresh for quite some good time . Also it feels so light on the skin. I am loving this burst of freshness in the morning and at any time during the day . Definitely Yes , I am loving it so much . 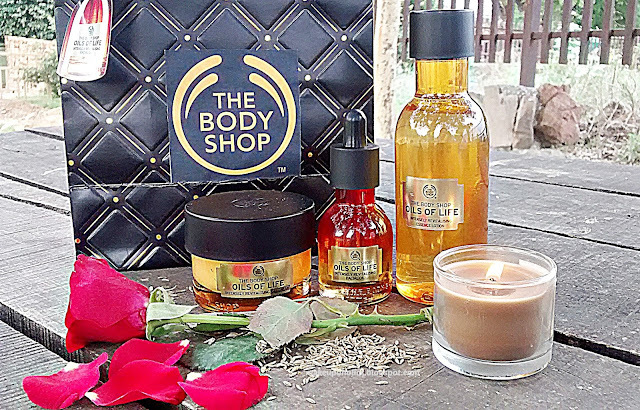 THE BODY SHOP OILS OF LIFE™ INTENSELY REVITALISING ESSENCE LOTION 160ml comes with a price tag of PKR 2910 ( little goes a very long way) and is easily available at all TBS outlets around the country. 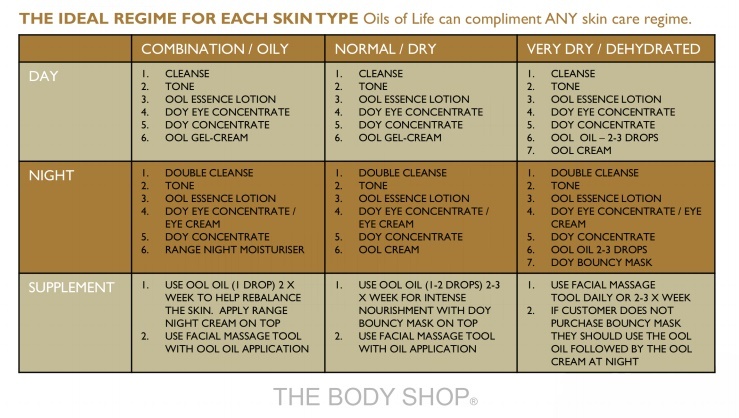 For more information and updates , check The Body Shop Pakistan Official Facebook page . 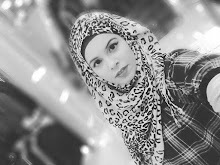 For more images and updates do check my Instagram .